This past Friday night Vicki and I had the special privilege of taking care of Sutton while his parents were in Amarillo with Harper. She had two ‘indoor’ soccer games. One thing that we found out the week before is that Sutton doesn’t like to watch others play if he can’t get out there as well. Vicki just said that we would keep him so they could go watch the game and not have to worry about him. Then came the news! Vicki had to work until 5 and I had to watch Sutton ALONE until she could get home. I hope you didn’t detect a sound of fear in that last sentence! I had gone to the house and was out in the garage when they arrived with Sutton. We just made our way out into the backyard to play. Sutton didn’t want to play until all the dog ‘droppings’ were picked up. He ran all over the yard, stopped, pointed then said – “Papa, poop!” I would then scoop it up and we would throw it away. We finished that task then headed inside. He immediately went to the cabinet, opened it up, and pulled out some pudding. Then he said – “Papa, pudding!” Yes, I got the spoon out, opened the pudding and set him at the table. It didn’t take long and that was taken care of. Then we Skyped with Chandra, Noah and Dakota. Sutton enjoyed seeing his cousins from New York. But then the front door opened. Sutton decided to go investigate. Something scared him and he came running back to me saying, “Papa, please.” He was crying as I picked him up and held him close. I took him so he could see it was Memaw, but he held tightly to me. After he settled down, we just started playing. First it was tractors, then basketball, then cars. He was going from one thing to another faster than I could get off the floor! We finally ended up on the floor in the living room where we just wrestled. 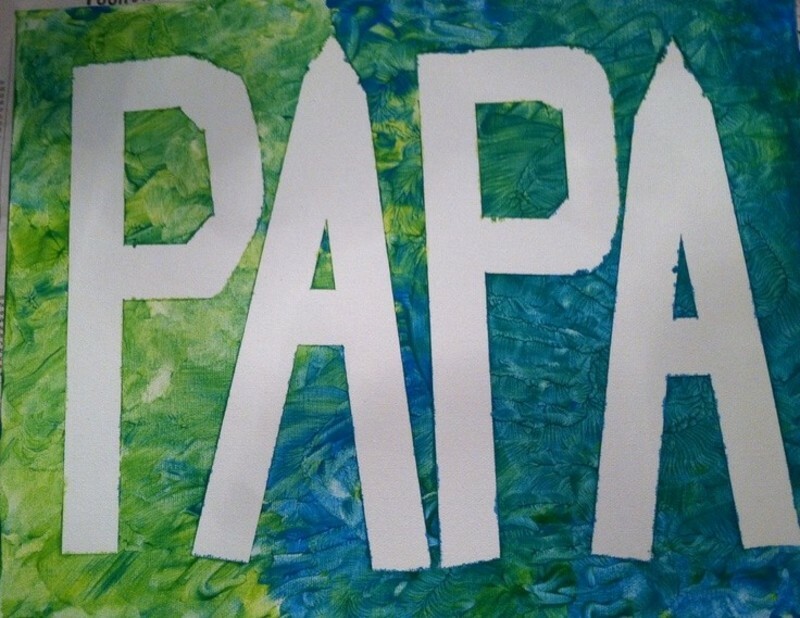 One thing I noticed was that when we went from one thing to another he always said, “Papa” then followed it with whatever he wanted to do next. He just wanted to make sure that I was paying attention to what he wanted to do. We had a great time just enjoying each other that evening. We played so much that at times he would just lay his head down and look at me. Then he would jump up and go again. We laughed and played until his Daddy came to get him. It was a special time for Papa. After he left, I told Vicki that he had done really well and seemed to enjoy our time together. As I lay in bed that night, I thanked the Lord for the time I had with Sutton. I caught myself saying, “Father, thanks.” Then I thought of something. In Mark 14:36, Jesus was praying and cried out – “Abba! Father!” As I thought about that I remembered that Abba was in common use in the mixed Aramaic dialect of Palestine and was used by children in addressing their father. 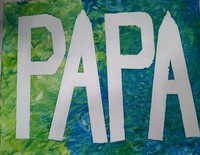 It is similar to our ‘papa’. That is when I smiled. My grandson kept saying, “Papa” then followed it by his single word request. As he called out, I would listen to him and would do what he was asking. In that same way, as I lay in bed I felt that closeness to my heavenly Father. I cried out – Father, thanks,” but it sounded more like – “Papa, thanks.” As I had encountered my grandson and grew so close to him, I was encountering “Abba, Father” and growing ever closer to Him.